“I always knew I liked making and being creative,” Heather McDermott recalls. 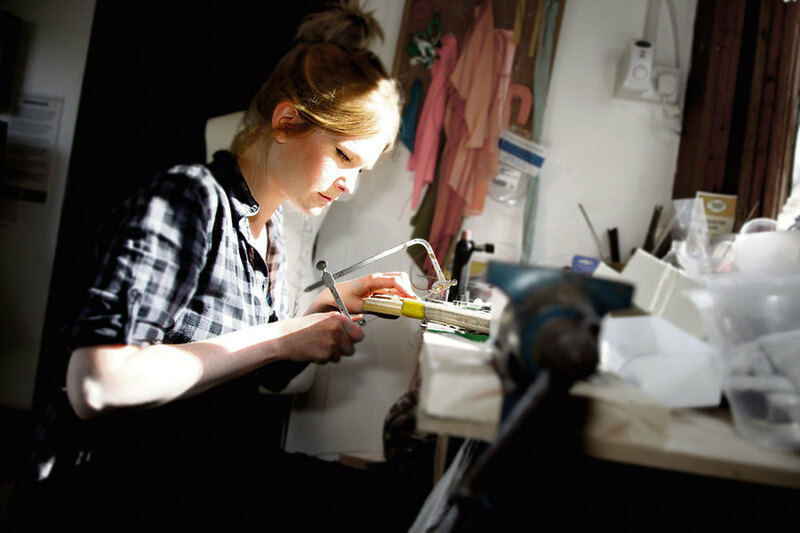 “It was always one of my dreams to go to art college.” Born, bred and now based on the Isle of Skye, she is one of Scotland’s leading contemporary jewellers. The passion that infuses her work has been long-standing: McDermott was already making and selling her own beaded jewellery when she was 12, and attended various workshops and taster sessions growing up. Her creativity was encouraged by her parents (her father is also an artist), and at 16 she left Skye for Edinburgh to study silversmithing at Edinburgh College of Art. Her college choice was partly informed by the opportunity to learn from Dorothy Hogg MBE, the then-course leader of Jewellery & Silversmithing at the school and a celebrated designer-maker who McDermott describes as a huge inspiration. After art college McDermott was introduced to Business Gateway (a Scottish Government initiative that offers advice and guidance to both startup companies and established companies across the country) and Hi-Arts (now Emergents, a company that aims to support the development of creative careers in the Highlands and Islands of Scotland); she did a six-month mentoring programme with them that, she says, was crucial in jumpstarting her career. From there followed further mentoring programmes, a first show in Devon, then London, and eventually galleries. “So many people assume that I must be cut off from everything because I live on Skye,” she says, “but there’s an incredible amount of support for makers up here. There are all these mentoring programmes that have given me the confidence to go for it and make the best work that I can, because that’s what it's about: making that really unique product, that’s different from everything else.” She recently went to NY NOW (a huge trade show in New York City) with Craft Scotland, and in the past has visited contemporary jewellery shows with Business Gateway in Amsterdam and Munich – experiences which she says have been invaluable to explore ideas and business ventures. She now operates from Air of Sleat studio on the southern tip of Skye; the studio is open until October and visitors are always welcome to stop by. Heather McDermott Jewellery currently comprises several collections, all inspired by the tideline of Skye. 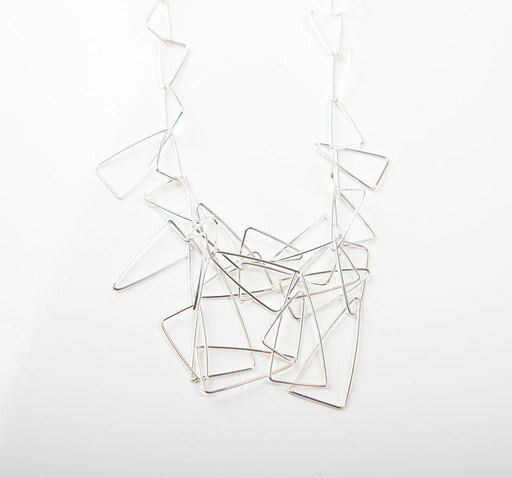 Each piece is unconventional in size and structure, and designed to create a statement while remaining easily wearable. The main collection, Tidal Surge, has been developed since 2013 and is based around recurring motifs stemming from fishing nets, boats and buoys. The delicate and elegant Fankle and Cascade necklaces, for instance, feature intricate triangle and diamond shapes, inspired by lobster creels and fishing nets. 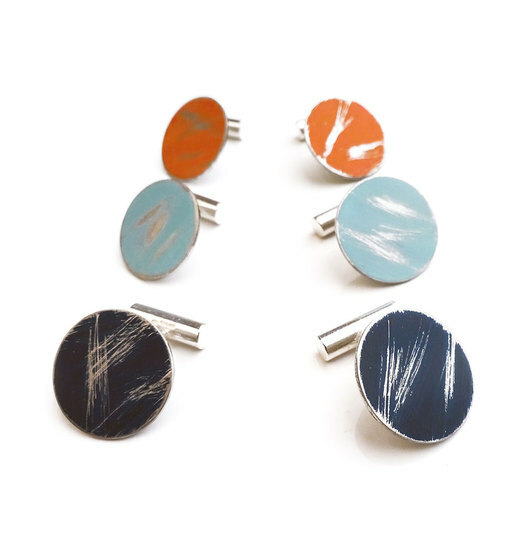 The stunning Tidal Surge collection also features Buoy, a selection of brightly coloured, circular pendants and earrings that are noticeable for their unique distressed look, reminiscent of the weathered buoys of the Hebridean sea. Unsurprisingly the intense hues of green, orange, blue or yellow are directly inspired by McDermott’s surroundings: “It’s the colours I see every day in the harbour, when I go down to the beach; there’s always a fishing rope or brightly coloured plastic. When I started thinking about colour I really wanted them to have a recognisable reference point. The blue is taken from the fishing boats – it’s such a classic blue colour that the boats are painted up here. And if you’ve ever come up to Skye on a sunny day, the sea can look that really vibrant green. Following a solo show at Edinburgh’s Scottish Gallery in May, McDermott’s pieces will be part of several shows over the next few months including Chichester’s West Dean Craft and Design Fair, and Goldsmiths' Fair in London – and, of course, XPo North. She is keeping busy, already looking ahead at future projects, and mentions she has been thinking about developing a gold jewellery range suitable for luxury events and fairs, and perhaps an alternative wedding collection. She also recently collaborated with Skye Weavers, for which she specially created limited edition brooches, and says she would love to do more group projects.